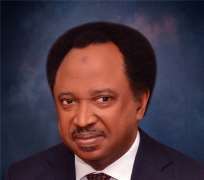 Senator Shehu Sani representing Kaduna Central Senatorial district in the National Assembly has accused the Nigerian Government of have nothing to show in the power sector but mere “megawatts of propaganda”. The senator took to twitter to praise the Nigerian Government on the progress made so far on the River Niger project in comparison to the ghost River Niger under the past government. But the Civil Right activist has no kind words for the present administration as regards power. He described power under Buhari’s administration as “its simply megawatts of propaganda and grid of exaggeration”. It will be recalled that the Minister of Power, Works and Housing, Babatunde Raji Fashola has said that Nigerian Government has succeeded in increasing power generation, transmission and distribution in the country over the past three years. According to Vanguard, Fashola said “With regard to power, we have improved on what we met, by increasing generation from 4000MW to 7000MW, transmission from 5000MW to 7000MW and distribution from 2690MW to 5,222MW”. We need to appreciate the fact that there is progress made on the River Niger;Mythical,phantasmagoric & ghost River Niger bridges under the past Govts. are now replaced by real one under the Present FG .However,on power its simply megawatts of propaganda & grid of exaggeration.